Micro views have as much information as watching a stunning sunset. 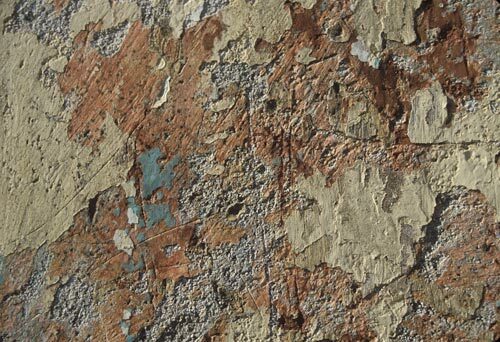 This peeling paint is on a west facing wall, built in 1828 at the end of Calle Comercio. 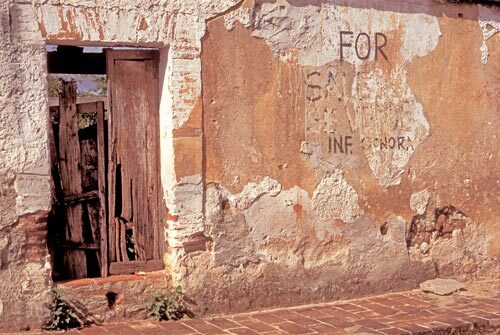 Álamos had become the capital of a combined Sinoloa and Sonora – the state of Occidente. The new Governor Jose Maria Gaxiola lived inside this wall. It is a scene repeated throughout Álamos, Sonora, México. In recent times, recent being relative, Rip Torn and Geraldine Page once found sanctuary behind this edifice. Think of the romantic full moons and the sweet smells of the night air. In the distance a young man serenades his girl. 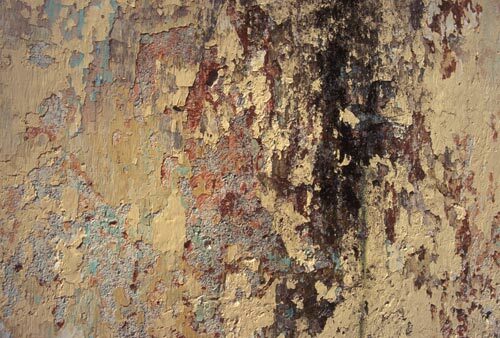 Stains of age bleed through layers of paint peeling back time. 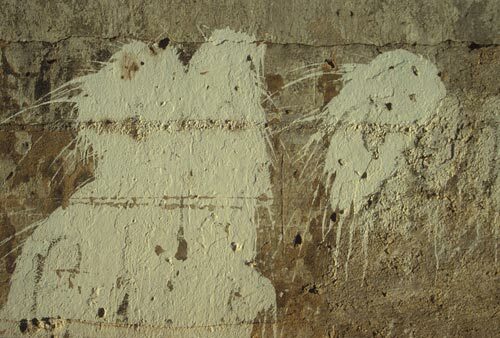 Struggles personified: scribed, scratched, torn, eroded, defaced, washed, painted by natural elements and human events. Beauty is in the eye of the beholder. 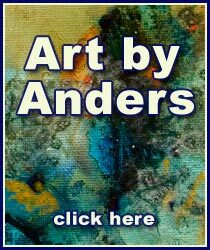 Many times art comes from taking advantage of opportunity. 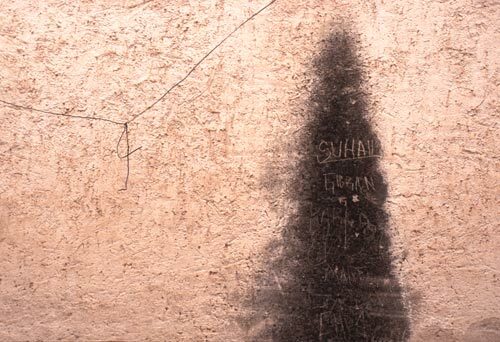 Graffiti, like tattoos, has taken on different significants in society. There is mean graffiti, cruel graffiti, criminal graffiti, obnoxious graffiti. And then there are a quiet moments when man etches himself into the wall. these moments come and go as does the days, months, years and centuries. A calm moment in the relentless march of change for change’s sake. 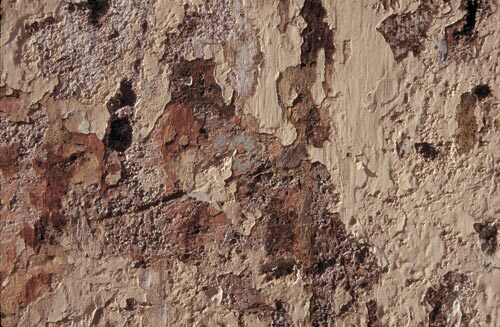 Soothing pastels worn smooth, shine in the morning sun on an eastern facing wall. There are no images or words but there is feeling – much like minimalism modern art. Look long enough and there is movement. It is all about gesture and action. What do we see? What do we feel? Speaking of modern art. What was behind these two large action marks? Was it a planned act or an accident? 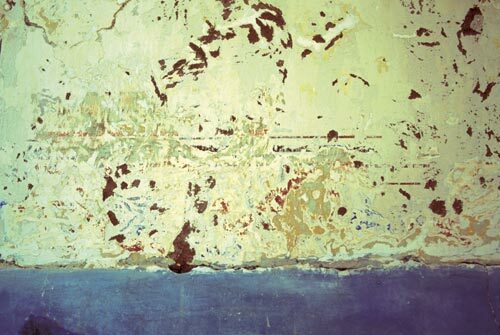 This is a concrete wall – modern in Alamos time. Was a painter cleaning is bucket? Was it a statement from one person about another? 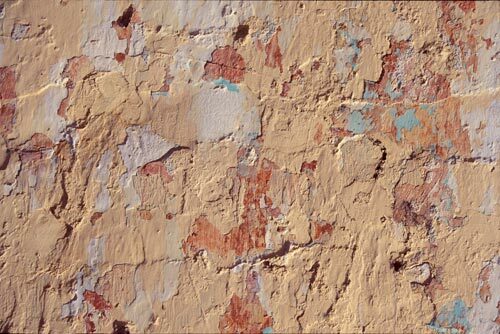 These are the questions, and tales, that the walls of Álamos, Sonora, México present to willing imaginations. 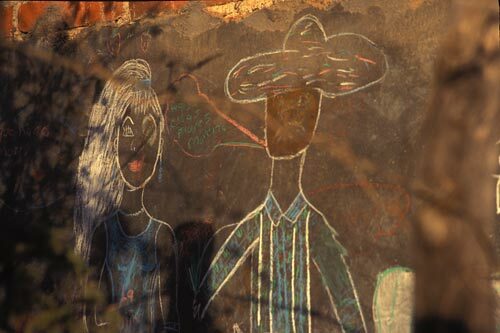 A young couple on a wall near the airport. Old and new together. This painting was off the Old Camino Real as it turns to north west past the airport. Today the rod leads to nearby copper mines. It is probably much more traveled. there is little chance that is image remains – it is almost twenty years since the photo was taken. Up close and within the details of passing time. As one comes closer to the wall, or some would say ruins, one can see the marks take on greater significance as the design by natural elements and human events grow in intensity. There is form in the happenstance. Not all art is beautiful. Not all art is ugly. But all art is art. This is an interior wall that is facing renovation. There are moments of discovery, questions, appreciation and realization. This house probably has been in place a couple hundred years. Think of the get-togethers it has witnessed. The joys and sorrows. This wall knows life – good and bad. The sign of time fades a sign of hope. In a matter of years this sign has faded. Does this mean the property was sold and there was no more need for a sign so let time to its thing? Or does it indicate there were no buyers and the seller gave up the effort? Either way this wall is texture in a town of textures, Álamos, Sonora, México. 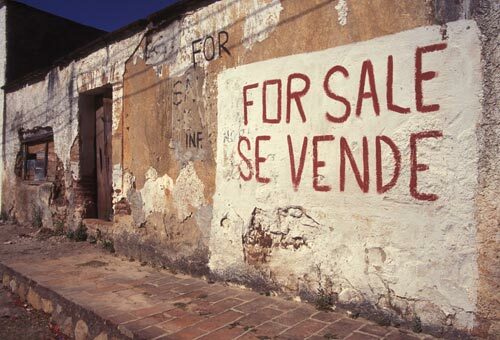 Advertising helps economies roll and money exchanges hands. The message is bold, hard to miss and to the point. “This is for sale!” Is it art? Ask Andy Warhol what he thinks. Is it a statement? Certainly. And a marketing campaign begins again just like a sunrise. Fast paced music video that is more than its parts, much like Álamos itself.. This page took 0.360 seconds of computer labor to produce.